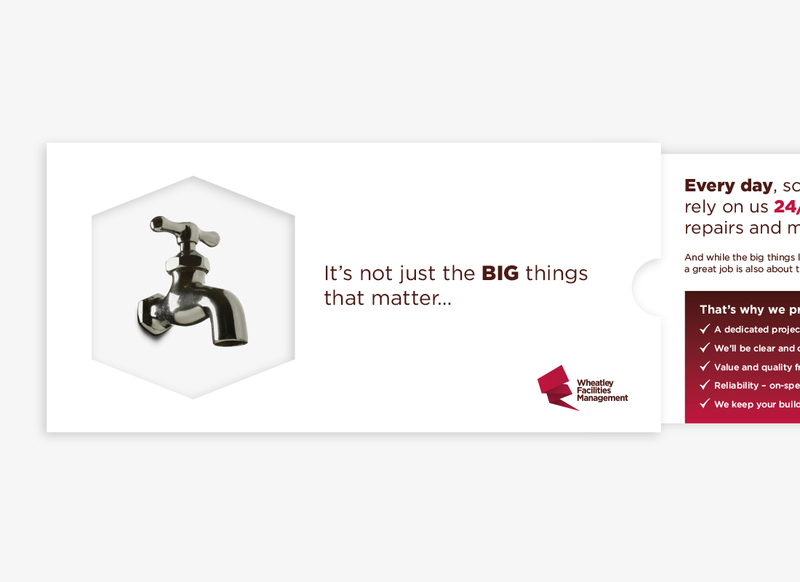 PSB Branding were approached by a leading facilities management company who currently maintain buildings such as the Royal Armouries and Bridge Water Place in Leeds. 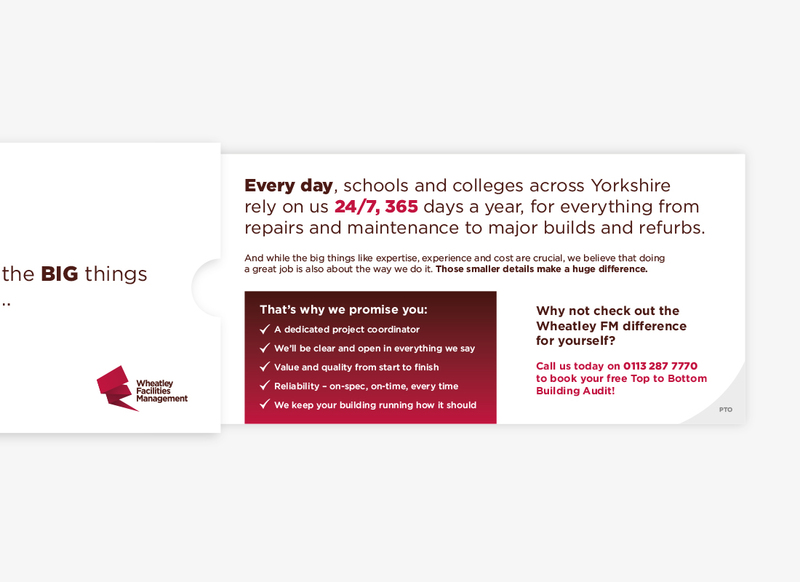 We were tasked with creating an enticing direct mail campaign that would be used to target both local schools and offices. 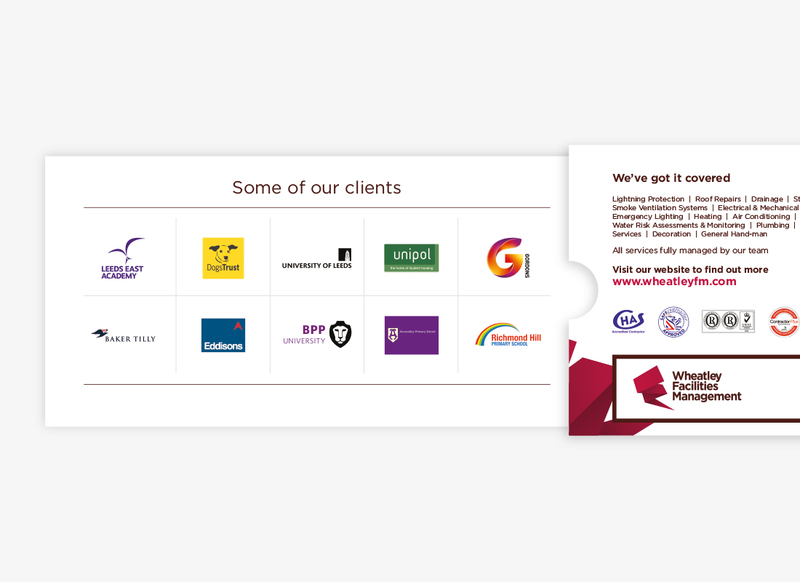 Wheatley FM are praised by their clients for their attention to detail and we wanted to get this message across. 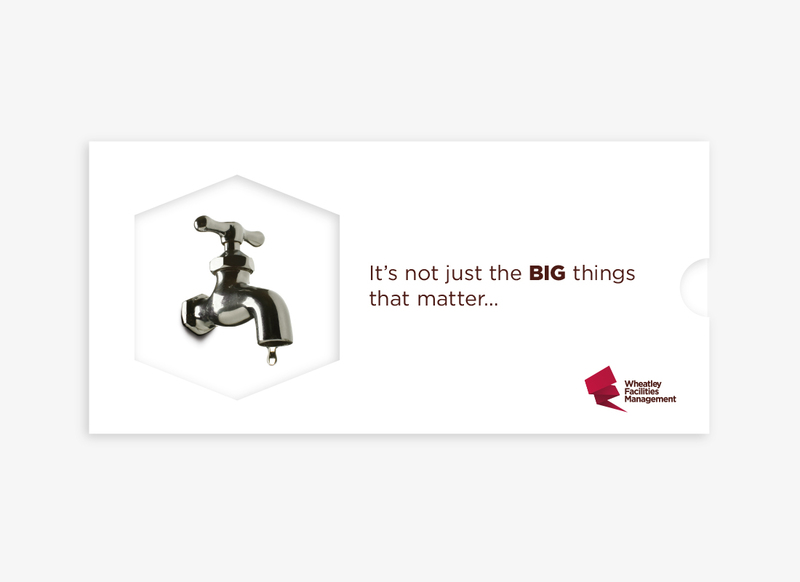 The idea of ‘It’s not just been the big things that matter’ paid great attention to the fact that Wheatley FM would resolve even the smallest of problems such as a leaky tap or a broken door handle. We created a completely unique mechanism in which the image changed as the sleeve was pulled out to reveal a tap that is no longer leaking. 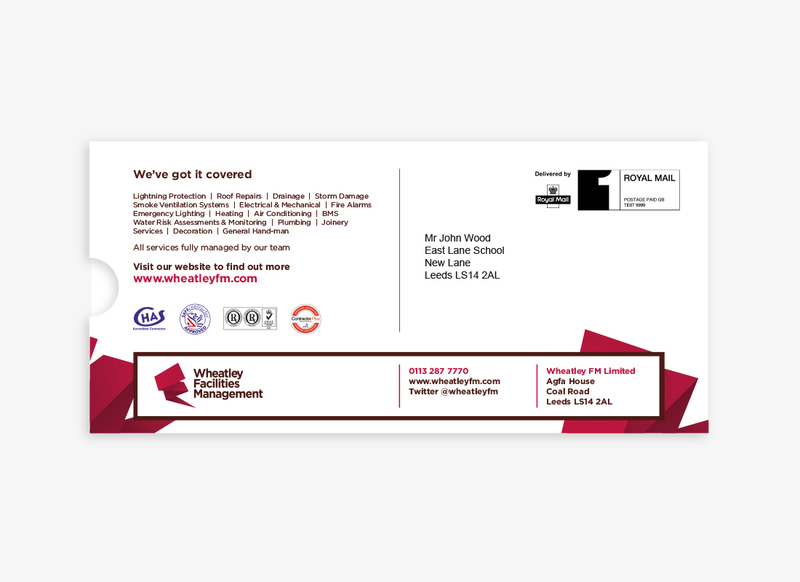 All mailers were individually printed with a personalised name and address to ensure that these reached the selected person.